First you'll want to make sure your mileage settings are correct for your specific situation. 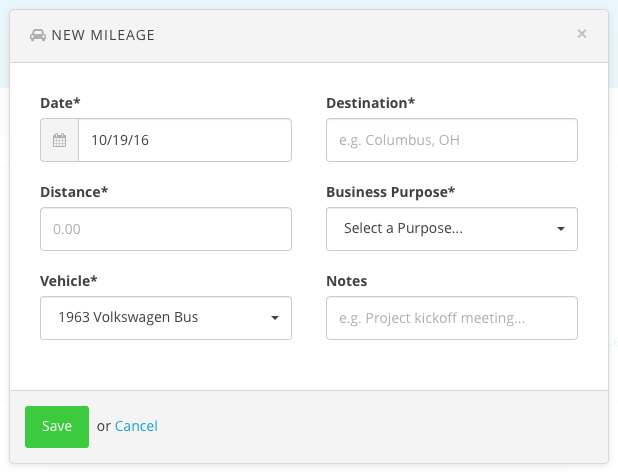 When you visit your Expenses Settings screen you’ll notice a few options for mileage, starting with your general Mileage Preferences. 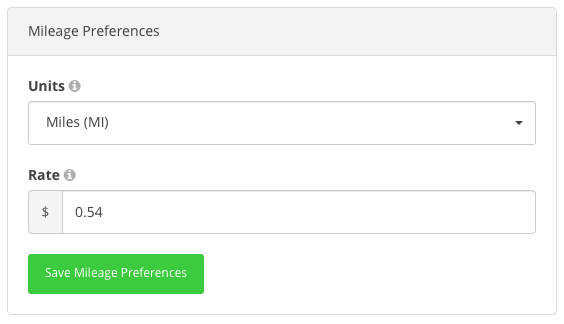 Here you can set your Units preference (miles or kilometers) and also your mileage rate. This rate will vary from country to country so check with your accountant on the appropriate rate for the current year. For 2016 the mileage rate in the United States is $0.54/mile. You can also manage your vehicles as part of your settings. You’ll want your recorded mileage to be associated with the vehicle you actually used. So any vehicles you use for business throughout the year should be added to this list. 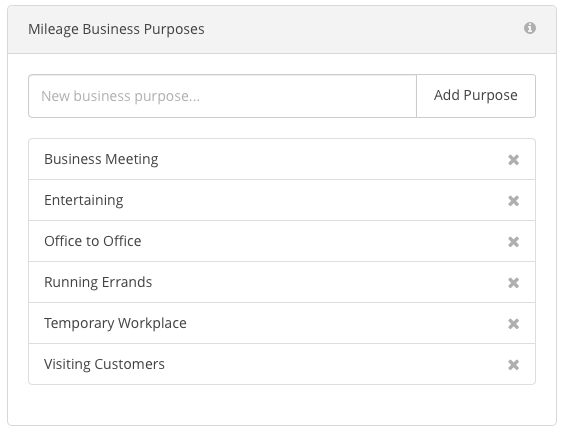 And finally as part of your settings you’re able to manage a list of business purposes for your mileage. The default list is based on the main purposes allowed by US tax laws, but feel free to edit this list as needed. 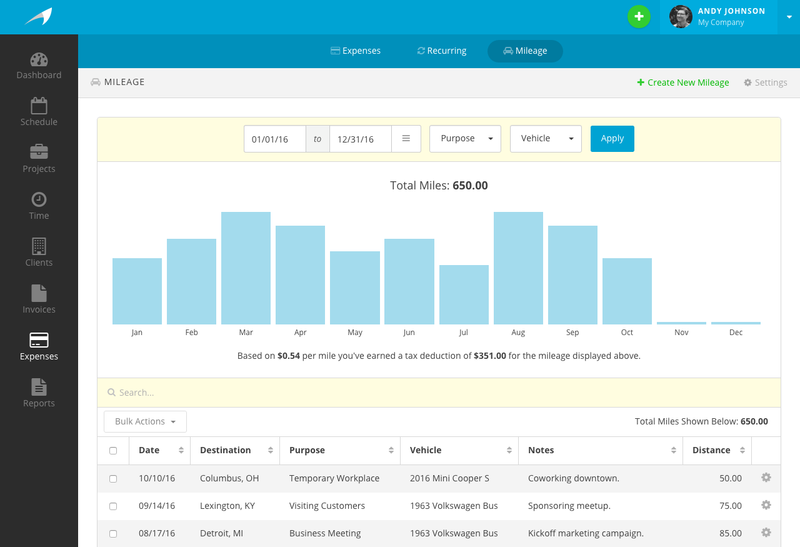 When it comes to recording and tracking your mileage visit your Mileage screen within the Expenses section of the app. 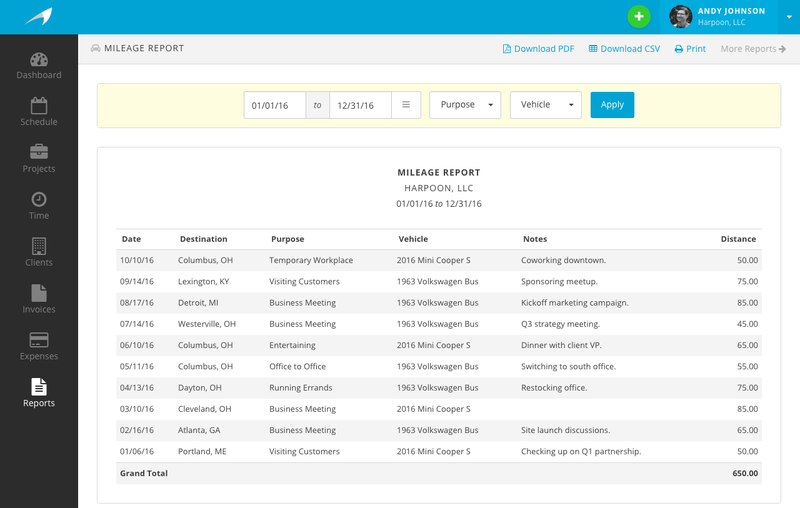 Here you can filter and display your mileage by date range, purpose, and vehicle. Harpoon will even tell you how much of a tax deduction you’ve earned based on the mileage you’ve recorded! When recording a new mileage entry you’ll be asked to provide a few details about about your drive. These details cover what most countries require when keeping mileage records, including the date, destination, distance, business purpose, vehicle, and any additional notes you might want to jot down. And when it’s tax time your accountant will appreciate Harpoon’s Mileage Report they’ll receive from you, ensuring you receive a proper tax deduction.